LifeMoves is an 8- week peer support program for people impacted by acquired brain injury and/or degenerative brain conditions. It is an opportunity for group members to discuss the challenges they are facing, and share advice to help overcome those challenges. LifeMoves caters for groups of 10-12 people who meet for 2.5 hours per week in a community facility. It’s free of charge for participants and is supported by a volunteer facilitator and peers. All facilitators and peers supporting LifeMoves are themselves living with an acquired brain injury, have personally participated in the program and have received facilitation skills training. LifeMoves helps participants tackle a range of issues of relevance to them, from physical challenges to financial and emotional issues. The program is co-facilitated by trained volunteers and previous participants may attend the program as guest speakers. 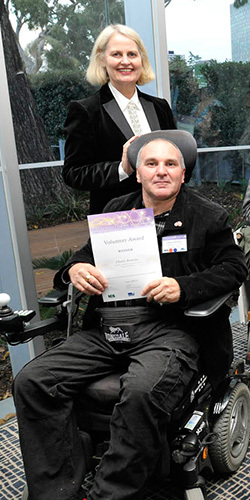 All volunteers have an acquired brain injury and have completed a LifeMoves program. LifeMoves group programs are held at community venues with disability access in a convenient location, for example, community library meeting rooms. Many groups continue their own social events after completion of the program. There is no cost for participation in this program. Morning tea or afternoon tea and breaks will be provided. Clients are required to make their own way to the venue. Venues are located in areas easy to access by public transport. Referrals can come from health professionals, carers, other community service organisations as well as self referrals. Information about upcoming programs can be found by contacting BrainLink staff listed below.